If you’d said the words “World of Tanks eSports” to me a few years back, I would have stared at you like you’d suggested a land invasion of Russia in late December. In these more civilised times, however, I’ve taken a bit of a shining to it. It uses big teams of seven and the game’s close simulation of armour and shell interactions to make exciting, tense matches. 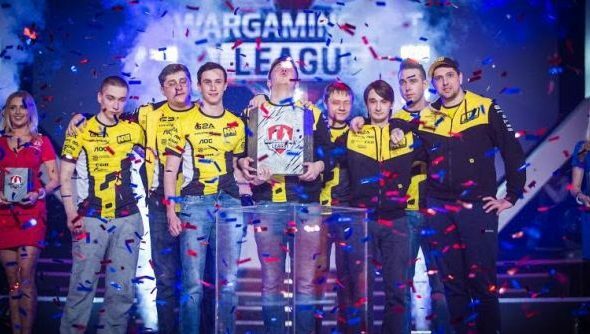 The Grand Finals for this year of competition happened last weekend, with multi-game all-stars Na’Vi taking the trophy for the second time in three tries. World of Tanks is one of the best free PC games you can play. 5th, 6th, 7th, 8th place – $5,000 – Tornado.Rox, YaTo, SIMP and Kazna Kru. Our Jordan was out there to take it all in, explosions, treads, mud and the rest. He’ll have a thorough write-up of the horrors of war soon, but if you want to experience it all yourself, here’s the Twitch archive of the final day.